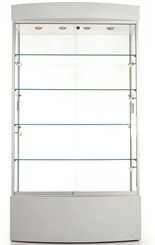 Curved Base Display Cabinet - Free Shipping! 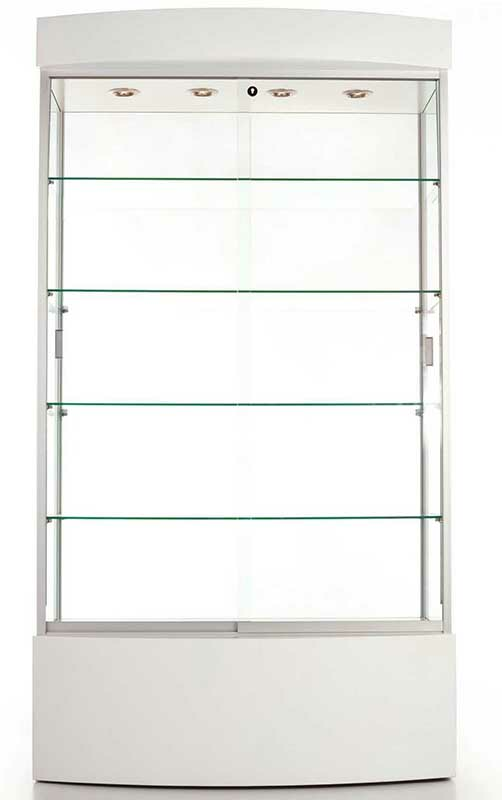 Our Curved Base Display Cabinet combines the strength of an aluminum framework with the durability of laminate. 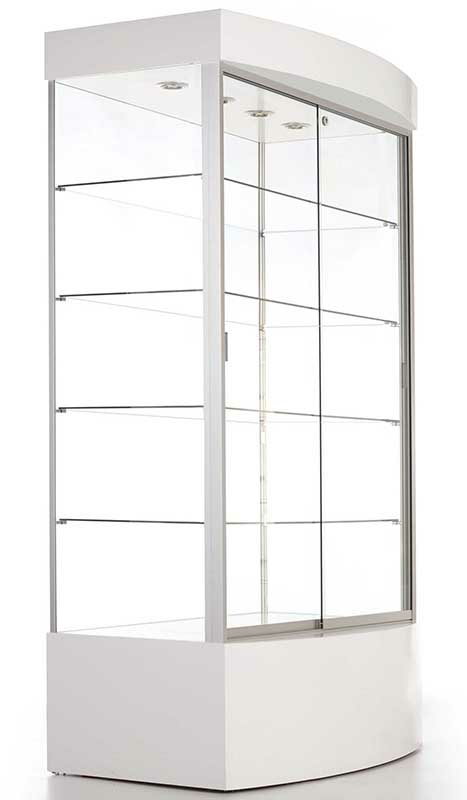 Anodized aluminum framing secures the sliding glass doors and incorporates a built-in lock. All commercial construction for an excellent value. 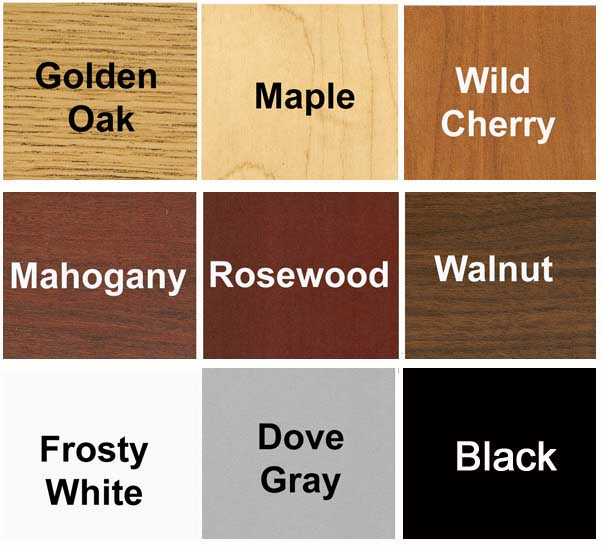 Ideal for contemporary settings. Value-packed choice for the protected display of your treasured memorabilia. Ships fully assembled! FREE SHIPPING! (Truck shipment - See Terms & Conditions). Shpg. wt. 352 lbs. Please allow 3-4 weeks for delivery. * Locking sliding doors (security lock). 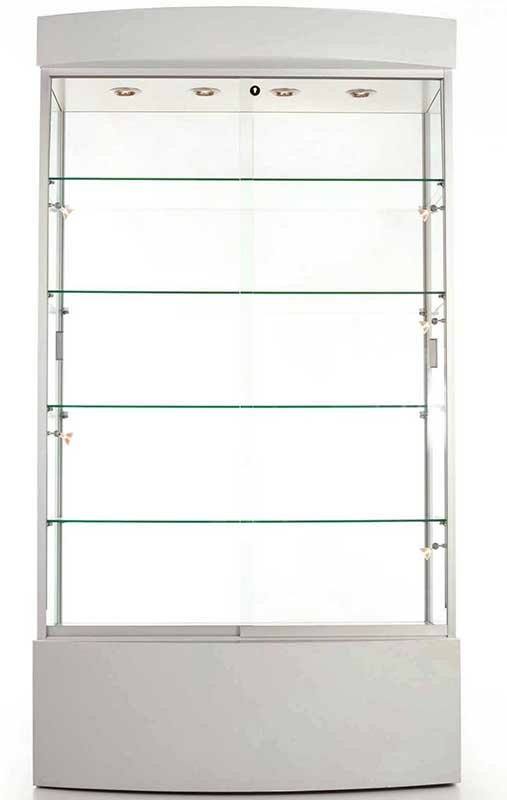 * Glass Display Area measures 39-1/2"W x 19-1/4"D x 54-1/4"H.
Same display case as shown above but with 8 LED side spotlights. Ships fully assembled. Measures 40"W x 23"D x 73"H overall. Shpg. wt. 355 lbs. Ships assembled. PRICE INCLUDES SHIPPING! (Truck shipment - See Terms & Conditions).